A fresh study of the remnant of a star explosion—Tycho supernova—first observed in 1572, has revealed a pattern of stripes not seen before. This could be responsible for Earth-bound cosmic rays. The rays have a primary role in formation of lithium, beryllium, and boron in the universe. They also produce some radioisotopes on Earth like carbon-14. The remnant was first observed by a Danish astronomer Tycho Brahe, and was the result of an explosion of a white dwarf star about 13,000 light years from Earth, within the Milky Way. 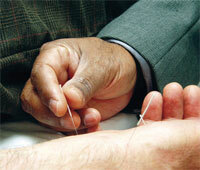 Good news for people who want to try acupuncture but are afraid of needles. Acupuncture performed with blunt needles is as good as the traditional one. The researchers compared the impact of traditional acupuncture and the sham one in relieving nausea in cancer patients. They enrolled 277 patients undergoing radiotherapy for cancer. The subjects were split into three groups—109 patients received traditional acupuncture, 106 patients sham and the rest were given standard medications. Both acupunctures were equally effective in reducing nausea. The population of bees is on the decline due to a number of factors like Colony Collapse Disorder, pesticides and pollution. But no one has been able to find the exact reasons for the decline. 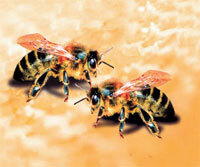 The method used to study bees decline involves bee larvae rearing in the laboratory. But it has drawbacks. Feathers, brushes and needles are used to collect the larvae which results in a lot of mechanical stress and thus high mortality. Now ecologists have developed a better way of rearing the larvae. To circumvent stress and resu ltant mortality the new method allows the bee que ens to lay eggs directly into an artificial plastic honeycomb about the size of a cigar box. 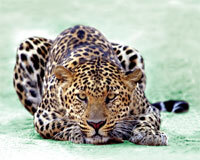 We often ask why leopards have rosette-shaped markings while tigers stripes. Rudyard Kipling suggested that it was because the leopard moved in an environment full of trees and bushes. Is there any truth in this? Resea rchers studied the flank markings of 35 species of wild cats to understand what drives their evolution. They captur ed differences in the visual appearance of the cats and linked them to a mathematical model of pattern development. They found that cats living in dense habitats and active in low light are the most likely to be patterned, especially with irregular or complex patterns. They noted it is for camouflage. Looks like Kipling was right. Expansion of palm plantations across Malaysia and Indonesia for oil has destroyed vast areas of forest and peatlands. This has increased greenhouse gas emissions and put biodiversity at risk. A satellite-based analysis that mapped mature oil palm estates’ expansion across Peninsular Malaysia, Borneo and Sumatra has shown that the canopy oil palm plantations covered 8.3 million hectares (ha) in 2010, including 2 million ha in Peninsular Malaysia, 2.4 million ha in Borneo, and 3.9 million ha in Sumatra. In India, too, there has been a push for growing palm oil plantations overlooking the health concerns associated with it. Its consumption increases the risk of heart attack. High amounts of carbon dioxide (CO2) in the air can affect moisture content, a climate model has shown. This means reducing CO2 concentrations could help prevent droughts caused by global warming. Climates are wet when CO2 is low. The precipitation increase is due to the heat-trapping property of CO2. It traps heat in the middle of the atmosphere. Thus, warm air in the higher levels tends to prevent the rising air motions that create thunderstorms and rain. Scientists are working to make hightemperature superconductors work at lower temperatures, but cert ain unanswered questions remain. One is pseudogap. Superco nductors experience a pseudogap when the electrons change their energy levels, prepa ring to team up and enter superconducting states. But no one knew what electrons do during this phase. Now scienti sts have found that in this phase, electrons do not pair up but reorganise into a distinct order. 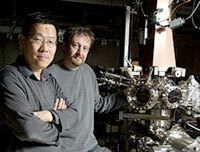 This they say is a new phase of matter, different from solid, liquid, gas and plasma. The study was done on lead bismuth strontium lanthanum copperoxide superconductor. Layers of warm Atlantic and cold Arctic ocean waters around Greenland may be speeding the melt of the country’s glaciers. In the past 15 years, the glaciers have been melting fast. Researchers know that warm air over Greenland melts surface snow and ice, but this is not enough to explain the fast retreat. The first-ever winter survey of a glacier in Greenland showed a complicated interaction between ice, freshwater runoff and warm, salty ocean waters as the culprits. 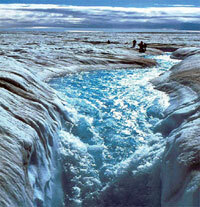 The finding will help improve predictions of future ice sheet variability and sea level rise. Most of our modern day solar technologies are a result of complex use of materials like silicon. There can be another way—copying photosynthetic bacteria. They use the sun to power their everyday activities. 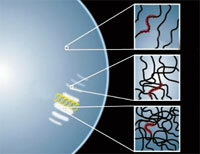 To study their pattern of utilising solar energy, researchers analysed chlorosomes, structures in the bacteria, efficient in collecting sunlight for conversion to energy at nano-level. It helped them observe the complicated biological systems. Once these systems are understood they can be replicated and may help develop solar cells that mimic biological processes to harvest heat and light. Insulin forms the basis of regulating blood sugar in diabetics. The hormone is central to regulating carbohydrate metabolism. Now an alternative hormone pathway has been found that can potentially lead to new ways of treating type 1 diabetes independent of insulin. The hormone, fibroblast growth factor 19 (FGF19), has insulin-like characteristics beyond its role in aiding digestion through bile acid. But unlike insulin it does not cause excess glucose to turn in to fat, suggesting that its activation could lead to new treatments for diabetes and obesity.